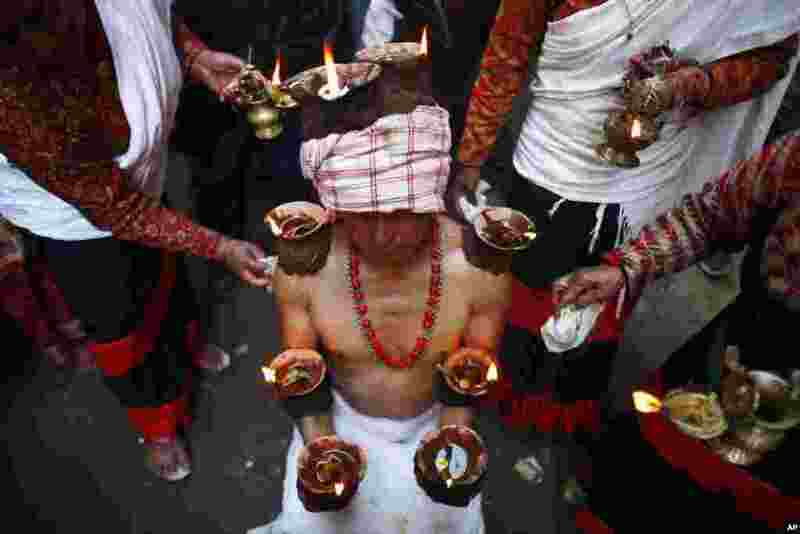 1 A Nepalese Hindu devotee balances lit lamps along his arms during the Madhav Narayan Festival in Lalitpur, on the outskirts of Katmandu, Nepal. 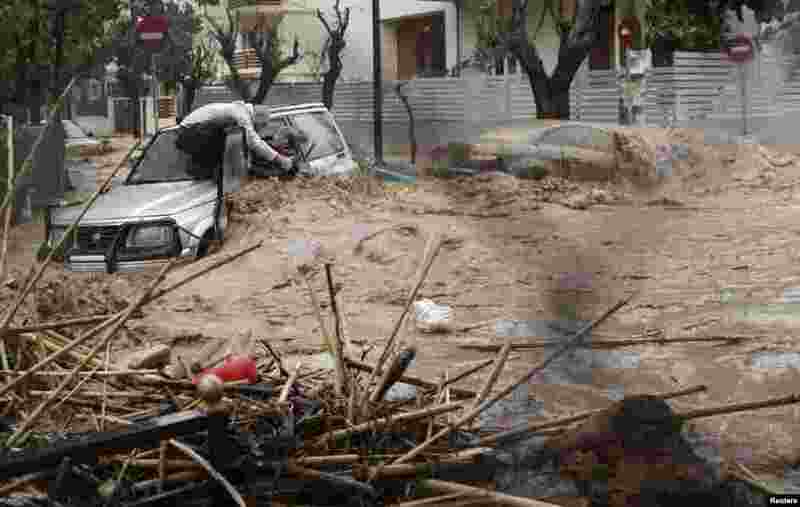 2 A woman is rescued from flood waters by a resident standing on top of her car during heavy rain in Chalandri suburb north of Athens, Greece. 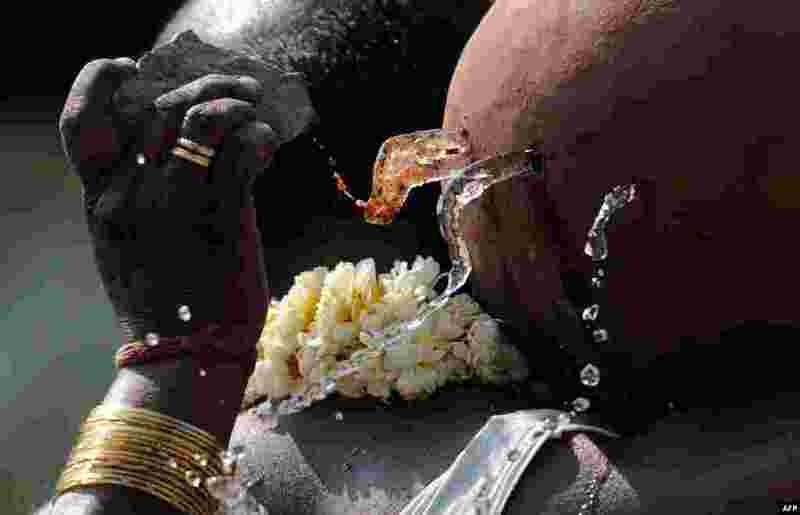 3 A relative uses a stone to break a pot of water carried by Sudhakar Reddy during his sister Swapna Reddy's funeral rites at a crematorium in Hyderabad, India. At least 14 people were killed, including Reddy, by twin bombings at a bustling shopping area of Hyderabad on Feb. 21, 2013. 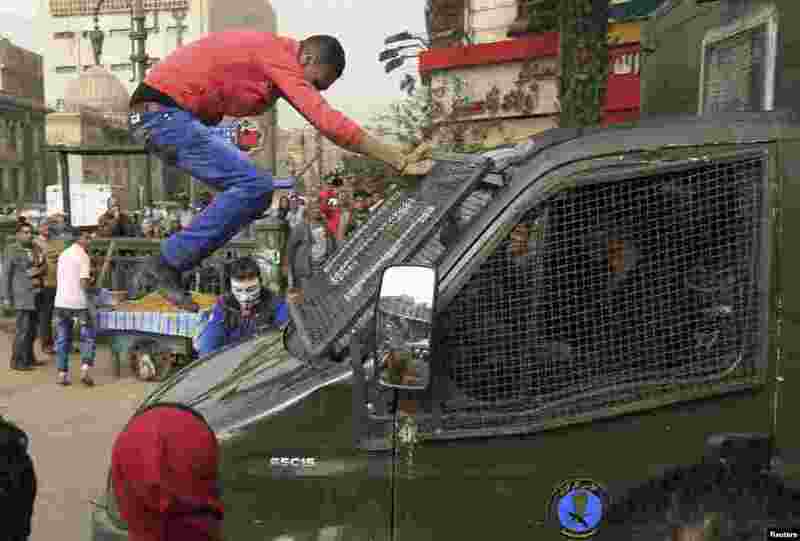 4 A protester jumps on a police vehicle as it passes by an anti-government protest in Cairo, Egypt.